KUALA LUMPUR: The aviation industry continues to face certain downside risk factors in 2019 including intense pricing competition, a weak ringgit, rising fuel costs and regulatory uncertainties. If there’s a silver lining, it’s that of passenger traffic growth. Maybank Investment Bank aviation analyst Mohshin Aziz expects the number of passengers passing through the 39 airports Malaysia Airports Holdings Bhd (MAHB) operates in the country to normalise this year after missing its 2018 growth target. The airport operator handled 2.5% more passengers at its airports last year, falling below expectation of a 6.5% growth. It was also lower than the 8.6% growth seen in 2017. “There were many reasons for the lower growth in 2018, partly due to the 14th general election, whose results were a surprise but the anticipated higher passenger movements didn’t happen, and weak consumer sentiment (in economic prospects) also dampened air travel demand,” he told The Edge Financial Daily. Mohshin expects passenger traffic to increase by 5% this year, slightly higher than the 4.9% growth target set by MAHB. Coming from a low base, he sees MAHB having it good this year, that is, if it can manage its cost well. For the airlines, Mohshin believes that it will be a tale of two halves, with them starting off on a positive tone in the first half driven by lower jet fuel prices. “The first half of 2019 will be pretty alright driven by lower fuel prices and their demand and supply are well managed,” he said. But come the second half the airlines will face challenges of the departure levy for outbound travellers of RM20 to Asean countries and RM40 to non-Asean countries. “There will be some impact on ticket prices and it will take some time for travellers to adjust to the proposed levy,” Mohshin added. PublicInvest Research analyst Nur Farah Syifaa’ Mohamad Fu’ad said airlines’ yields will remain under pressure in 2019, but she is expecting AirAsia Group Bhd to post “decent” profits. “That’s because its Malaysian operations are quite resilient, with a comfortable passenger load factor. And if the low-cost carrier can secure more connections for its overseas operations, it would improve their profits,” she said. For the third quarter ended Sept 30, 2018, AirAsia Group reported a consolidated load factor of 82%, down five percentage points due to significant capacity increase with 10% growth in available seat kilometres (ASK) year-on-year. Nur Farah, who has a “buy” call on AirAsia with a target price of RM4.14, said it remains uncertain whether the airlines’ cost pressure would be alleviated for long amid a major drop in oil prices. In October last year, Brent crude oil reached four-year highs of close to US$86 per barrel as tensions in the Middle East and the US imposition of sanctions on Iran sent jitters through commodities markets. Last Friday, crude oil was at US$60.55 (RM248.25) per barrel. “Our house view is that average Brent crude oil for 2019 will be about US$70 to US$75 per barrel, which translates to about US$85 to US$90 per barrel for jet kerosene,” said Nur Farah. Aviation consulting firm Endau Analytics founder Shukor Yusof is of the view that 2019 will be another challenging year for the airlines. “The unpredictability of the oil price is higher today as compared to the past. I don’t think it (lower fuel prices) would last,” he said. Shukor concurred that AirAsia will continue to perform well this year as the airline is expected to grow bigger through route acquisitions, covering destinations that are not sufficiently served by other airlines. “Business will still be very good for AirAsia as the airline will continue to be a strong part of the industry. 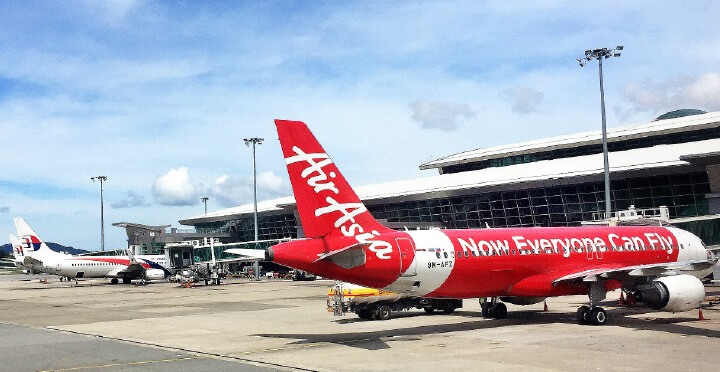 The first half of 2019 will be a follow-through of what we saw in the second half of 2018, where the market was dominated by AirAsia,” he said. According to MAHB’s 2018 passenger traffic snapshot released on Thursday, the main contributors for Malaysia’s international air traffic in 2018 were from the AirAsia group, the Malaysia Airlines group and Malindo Air. In his report last Friday, MIDF Research analyst Adam Mohamed Rahim opined that the recent dip in oil prices has given the opportunity for airlines to restructure their fuel hedging strategies moving forward. “We opine that this hedging policy will provide a shield to the volatility of oil prices in 2019,” he said. Adam believes that the prospect of the aviation sector is bright in 2019 as the extension of the visa relaxation for Chinese passengers until end of this year should sustain the passenger growth. “Other growth factors would include direct connectivity seen from international airlines flight straight to locations such as Langkawi. As such we believe low cost carriers such as AirAsia Group will continue recording higher passengers in 2019. “This will also benefit MAHB. 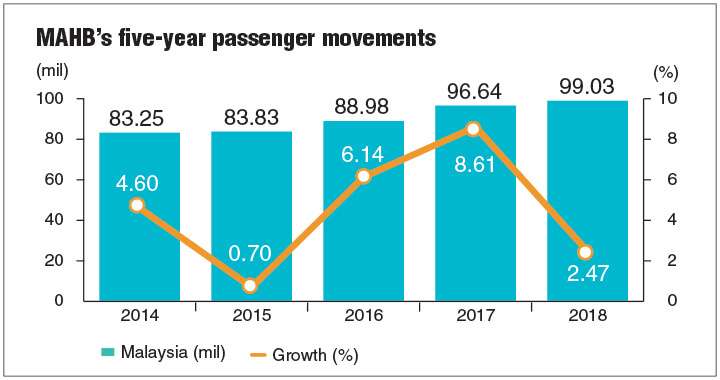 We strongly believe that MAHB passenger numbers can surpass the 100 million mark in 2019, while maintaining a relatively conservative growth rate of 3.5%,” he added.